This review focuses on personalised e-learning. The term personalisation in the context of this article means: to provide each user of a system or the World Wide Web (WWW) with content or an experience which has been tailored to suit their specific needs based on implicit or explicit information about that user, this is often derived from their previous engagement with the system. “There must also be sufficient content and services to satisfy the range of possible experiences that can be generated by the system to meet the user’s objectives” (Conlan, Staikopouslos, Hampson, Lawless, & O'Keeffe, 2013, p. 154). The term personalised e-learning in the context of this article means: to present each learner with personalised e-learning activities appropriate to their diverse learning needs. Learning activities facilitate student engagement with concepts and processes, alternatively, referred to as active learning or activity based learning. The motivation for personalised e-learning is to present each student with e-learning activities, specifically selected to suit their diverse learning needs. As authors progress from achieving personalisation, to personalising e-learning, to personalising e-learning activities, the complexity of authoring is increased for each of these additional features. Many research studies have been conducted on the personalisation of learning activities, yet, this remains a complex process. Granić & Ćukušić (2011) suggest that the poor design of e-learning systems is one of the contributory factors to the slow uptake of e-learning If this is true, then such design problems could also be at fault for the slow uptake of personalising e-learning, which is a more complex and time consuming authoring process, as well as of personalised e-learning activities, which involves further complexities in the design process. Jung & Latchem (2011), suggest that information and communications technology (ICT), can facilitate active learning to suit the individual learning requirements of students. “Active learners tend to retain and understand information best by doing something active with it – discussing or applying it or explaining it to others.” (Felder & Soloman, 2009, p. 1). In larger class groups, active learning experiences could be achieved by students engaging with ICT and suitable learning activities. A sound pedagogical approach and appropriate use of instructional design techniques are required to ensure adaptive content is useful to learners (Cheung, Lam, Szeto, & Yau, 2008). The creation of personalised e-learning activities would perhaps facilitate active learning. The concept of personalised e-learning will be reviewed and discussed is an attempt to improve the usability of authoring tools for creating personalised e-learning. An Intelligent Tutoring System (ITS) “authoring system” or “authoring tool” enables non-programmers to arrange their knowledge in visual format in a fixed structure through a user interface connected to an ITS shell (Murray, 1999). Authoring tools enable non-programmers to create educational courses to be used online. Adaptive authoring tools enable non-programmers or non-technical authors to create personalised educational courses. Authoring tools for personalised e-learning are software programs which enable non-technical academic authors to link multimedia objects together to create learning activities. “An adaptive engine performs the actual adaptation by adapting or dynamically generating the content of nodes and the destination and “class” of links in order to guide each individual user differently” (De Bra, Houben, & Wu, 1999, p. 148). 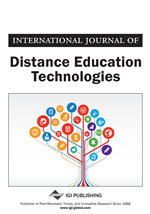 This research focuses on some of the challenges encountered when creating personalised e-learning activities for use in higher education. In the context of this research the term “learning activities” implies specifically selected activities to assist learners in achieving understanding and a certain amount of knowledge about particular concepts, processes or events. Active learning provides learners with interactive resources (with which they can engage) to assist their use or knowledge of specific things or concepts. Active learning encourages students to become actively involved and to reflect on what they are doing (Matveev & Milter, 2010). Currently however, there are only a few ‘learning activity design’ tools to help educators design appropriate learning activities for online delivery. Some are based within Virtual Learning Environments (VLE), or Learning Management Systems (LMS).